A foundation built on faith and family. In 1987, we never imagined all the amazing things God had in store for us in a small town in Texas. We moved to College Station where Skybreak was born. We have been serving families in Bryan/College Station and surrounding areas for over 31 years, and the impact is being radiated beyond. When you show up, you’ll see that it’s grown from a humble beginning of a few families to serving over thousands on the weekends. We love our heritage here so much that you’ll even find the original chapel that started it all still on the church grounds. 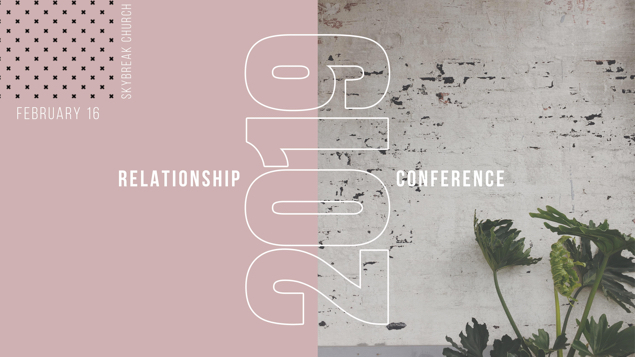 Join us for the annual Skybreak Relationship Conference where you will enjoy your time finding fresh inspiration for your life, and connect with a community of couples and singles to walk alongside as you grow. You have something to offer, and here’s your chance to learn how. Here at Skybreak Church, we truly are a family, and we want you to feel that you belong. At Growth Track you’ll have a chance to learn first hand how you can get involved and make a difference. Embrace the love of a family. Life moves at the speed of relationships. We are not a church WITH small groups, rather a church OF small groups; it’s who we are. God wants each of us to find freedom in our lives. Here at Skybreak Church, we truly are a family, and we want you to feel that you belong. At the Growth Track you’ll have a chance to learn first hand how you can get involved and make a difference. © 2019 Skybreak Church. All rights reserved.